The player rolls additional dice. In cases where either the character has a disadvantage or the task is more difficult than average, the converse applies, the player rolls fewer dice.!! 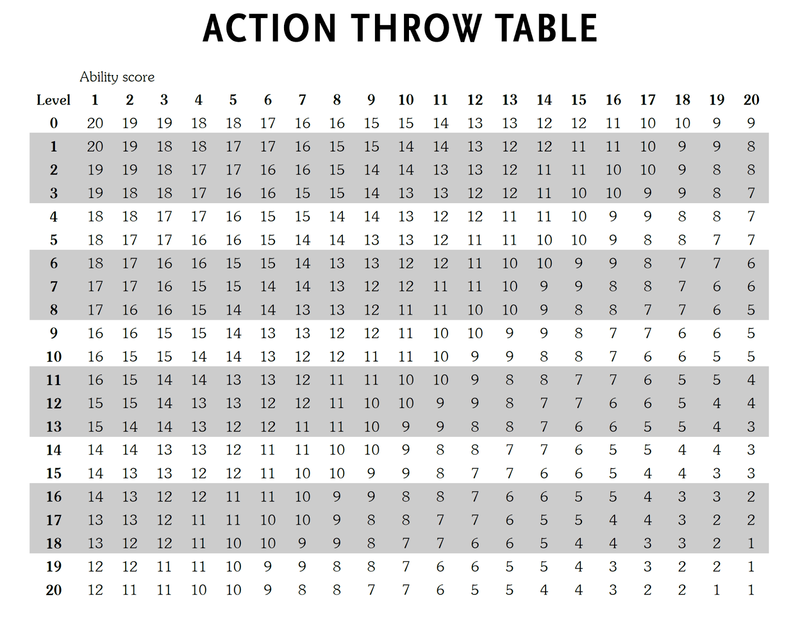 In cases where either the character has an advantage or the task is easier than average, the player rolls additional dice. In cases where either the character has a disadvantage or the task is more difficult than average, the converse applies, the player rolls fewer dice. David inspired me to add and subtract dice based on the circumstances on the ground at the time of the roll. 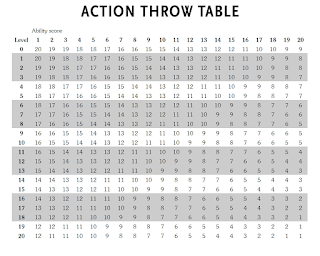 I will have the player roll a few d6s with the target being set by checking the Action Throw Table (below) which I discovered on Greg's old blog.!! the player rolls additional dice. I love learning more about this topic. I am trying to get back on top of my blogging and fleshing out my new gaming world.! !